Australian Institute of Packaging members. Save almost 20% on the standard ticket price! This is the first time our popular LIVE event format will be staged in Melbourne! Don't miss out on this insightful keynote address! Consumer convenience has reached mega-trend status, and in the Australasian FMCG market it’s playing out in a proliferation of ready meal options and on-the-go snacks and drinks. 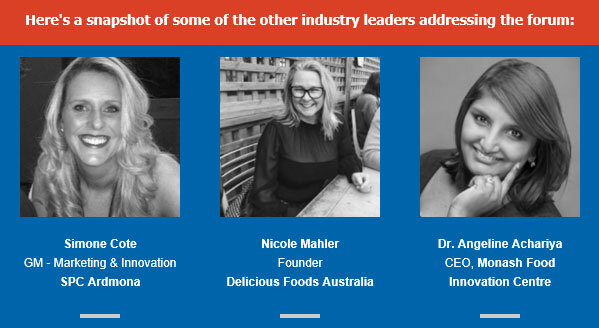 At the upcoming Food & Drink Business LIVE breakfast forum, taking place on 12 October at The Arts Centre in Melbourne, we will explore how The Convenience Culture is influencing new product development and packaging choices made by food and beverage manufacturers. Staged in Melbourne for the first time, our proven and popular LIVE event format will provide insights into the latest consumer lifestyle and behaviour trends and take a look at how brand owners are responding with product innovation. 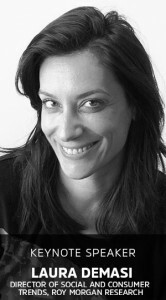 Speakers and panellists will include market research experts and executives from Australian food and beverage companies. The event is endorsed by our industry partner the Australian Institute of Packaging, and developed in partnership with our sister brand, PKN Packaging News. Early bird tickets are on sale here now.